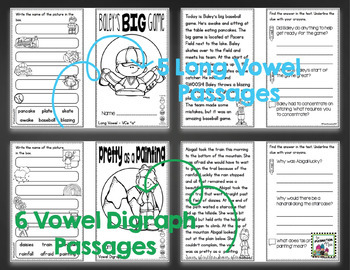 These booklets are an advanced set (multisyllabic) that are wonderful to use with your high first graders or second graders that are at grade level. 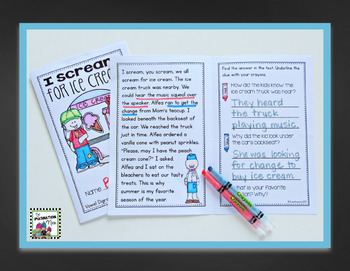 This set will help with differentiating during your Guided Reading time. They will support your phonics program on a week-to-week basis or they can each be used separately to add extra support. There are 36 booklets that focus on a phonics skill. 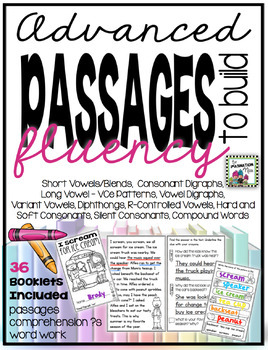 Read and reread the passage to build phonics and fluency skills. Each passage focuses on comprehension skills including both explicit, implicit, and opinion questions. Students use color coding to find text evidence to support their answer. The back of the booklet provides a word work opportunity. Depending on the time available, students can print the words with a pencil, rainbow write or stamp the words. Use these booklets to support your weekly reading program, provide a home-school connection by sending them home for family use or summer practice, RtI, perfect for English Language Learners, and small or whole group instruction. Save BIG on the Phonics Booklet Bundle. Click HERE.